Calamity Jane. The history around this woman is not clear at all and, upon my bit of research, appears that she wrote most of it up herself. But…isn’t that great?! We are talking 1800’s. A long darn time ago. Way before women’s rights. Way before women had voices. So how did her voice sustain centuries to be heard even today? Many say that she “exaggerated” or “completely fabricated” stories about herself. Yet, she has become legendary as ‘Calamity Jane’. 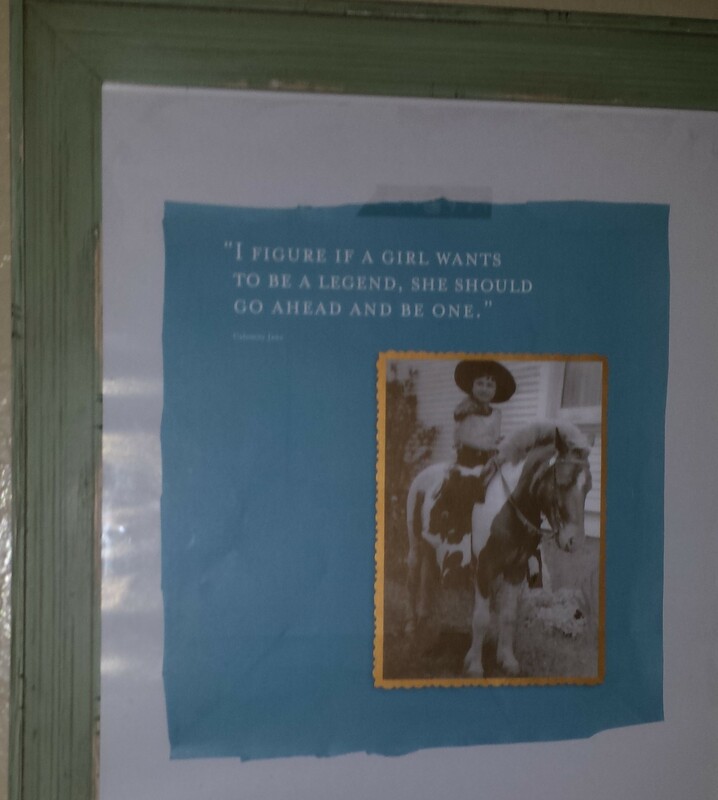 She hangs (see above) on my daughter’s wall as a legend, a hero. However, I have only recently really looked into her actual history. A bit sordid perhaps. Hum, but really who knows? If what the researchers say, she wrote up most of it herself. What we do know is that she was a woman who perserved in her time to become a legend. Even if she exaggerated her own stories, well-again- isn’t that great? Back then, a lady probably needed to! From what I can gather of the “truth” is that she did become a storyteller in Buffalo Bill’s Wild West Show”. She, then, in her later years, used her minimal fame and fortune to start her own Ranch and Inn. Go girl! Some say she was a “shady lady” and that was how she earned her fame. I had never heard that one in the story of her legend. Others say she was a generous kind woman who reached out to help others. She was “known for her helpfulness, generosity and willingness to undertake demanding and even dangerous tasks to help others”. Well, I contemplate this hanging in my daughter’s room that I had thought so innocent. Perhaps, not? This woman’s history is ….shady-ish. It is okay I decide. Because I see a young woman who sustained in a time when “ladies” simply did not. A time when, ladies tended the homefires, the young, and the… dinner. A time when, often, the women did not go out and become LEGENDARY. Calamity Jane. We all know the name. For heaven’s sake, she was for sale in a chain store when I purchased the poster that I ripped and framed for my little girl. For heaven’s sake, we all “know” Calamity Jane. For better or for worse. But we all know her. And she was a brave one for her time. 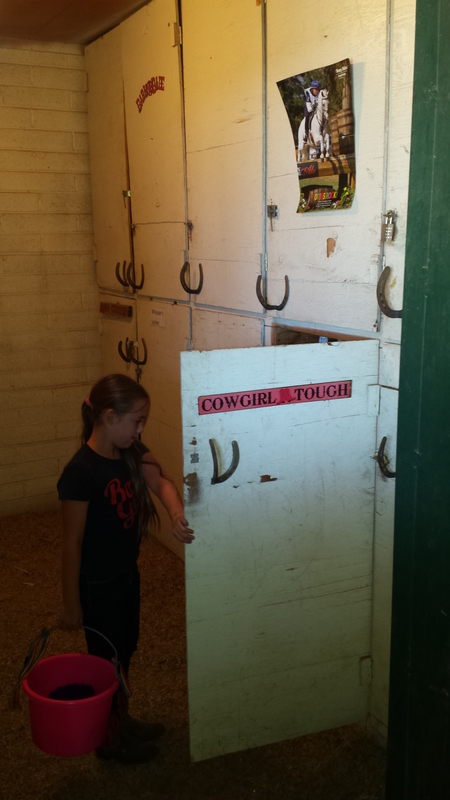 That’s a cowgirl if ever I knew one.